Herpavite is a spot-on treatment whose application is quite easy. It is a vitamin supplement that gets absorbed by the skin. The absorbed vitamins benefit the diet of the reptiles. 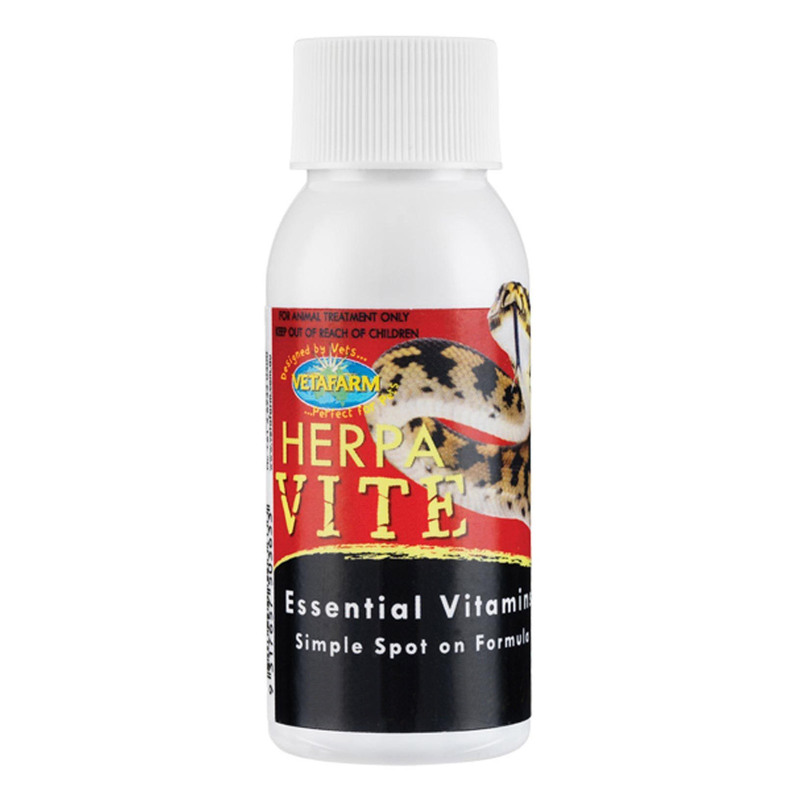 Most of the captive reptiles requires vitamin supplements for better and improved health. Most of the natural items that reptiles feed on are vitamin-deficient which leads to health problems. Apply 2 drops to the skin per 100gm body weight. Smear on skin to improve uptake. Snakes : Treat once in a week while active. Lizards : Treat twice in a week while active. Store in a dry place below 30 degrees temperature. Do not apply to hibernating animals. Vitamin A, D3, E, Niacin, Riboflavin, Thiamine, Pantothenic Acid, Pyridoxine.